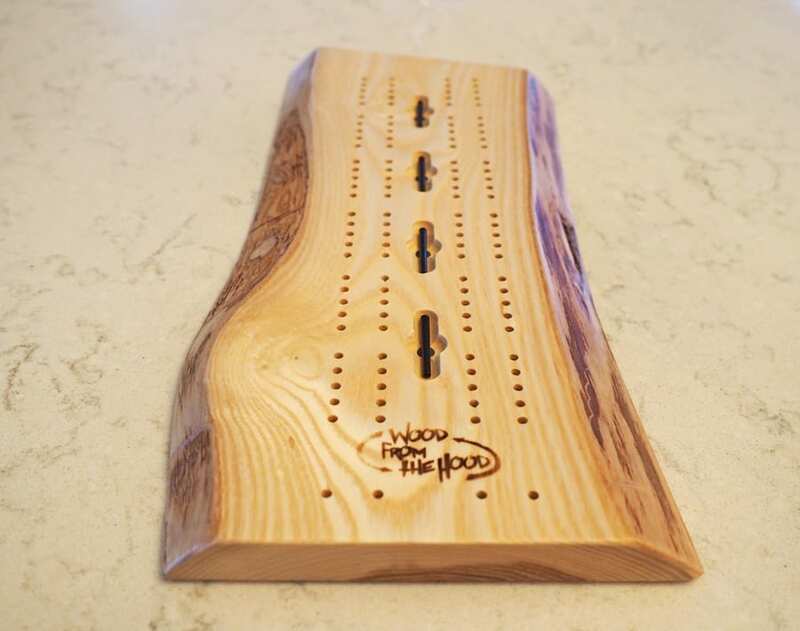 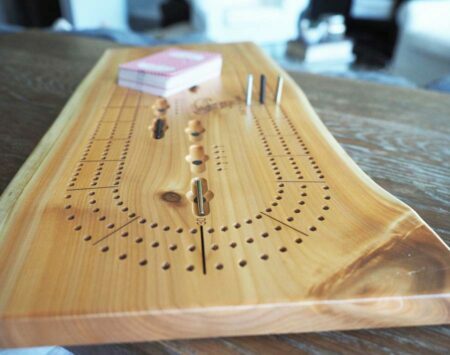 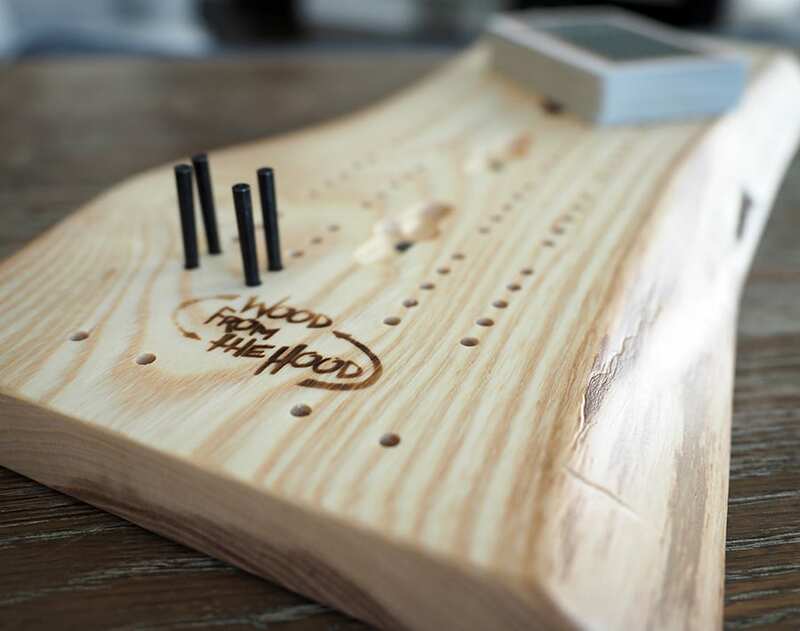 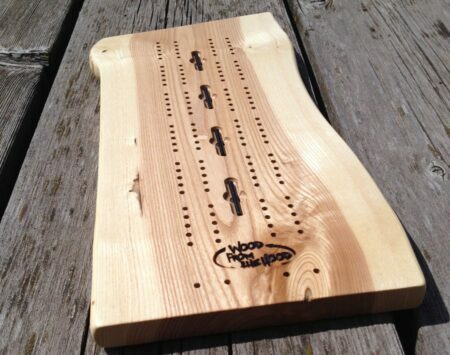 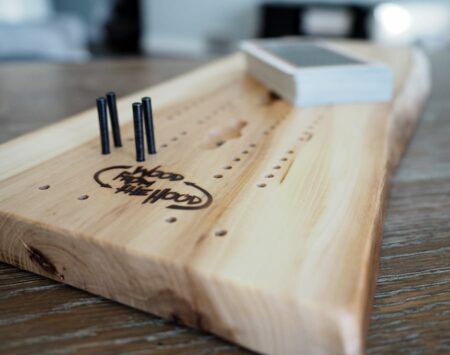 Measuring 15” long and in the range of 5-9” wide, our small cribbage boards are the best way to get the most aesthetically pleasing play from the smallest amount of space. Each board has 2 tracks running up and back. 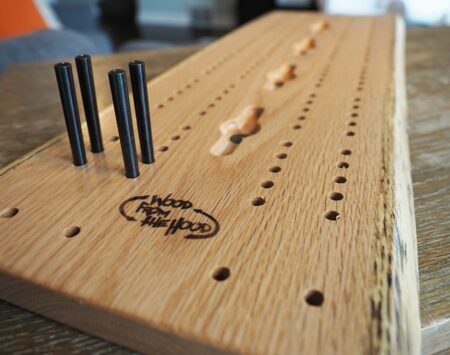 A total of 4 black metal pegs are stored and displayed on the board, held in place by magnets. 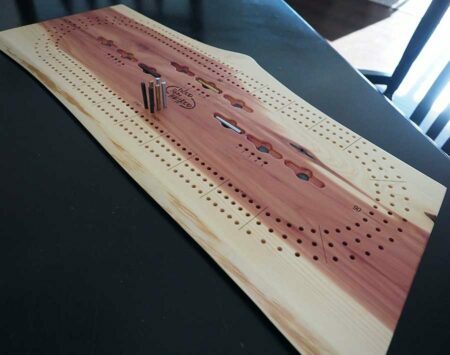 The small cribbage board pegs are 1-1/4” long and 1/8” diameter at the small end of the taper. 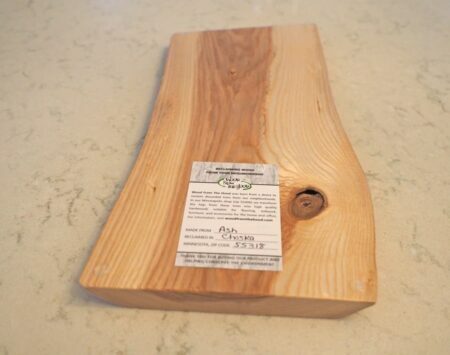 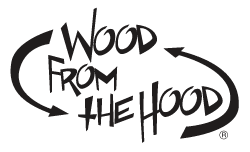 Boards are 3/4″ thick and finished with an environmentally friendly but durable clear finish.